The Cyber Monday deals you’ve been waiting for are finally here! Really, it’s almost mean NOT to share these deals with your friends and family and of course some of them for yourself too! 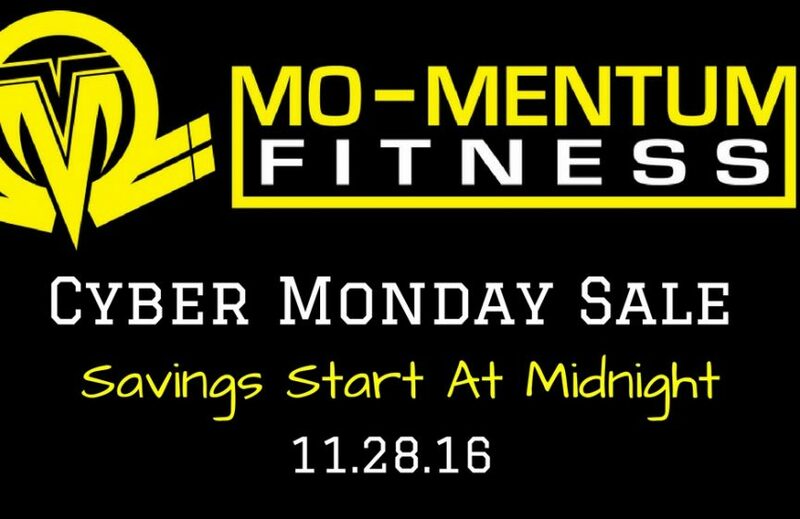 We will send the link out at midnight on 11/28 and all deals will be sold online and at Mo-Mentum Fitness until 11:59pm (11/28). *Personal and Semi-Private Training specials apply to people not currently training at Mo-Mentum Fitness. **Offer applies to 1st time small group contract. Cyber Monday Price will not renew after contract expires.